I always liked to bake. Cakes, cookies, brownies, bars, you name it. By the time I was 8 I could whip up baked goods fearlessly. And so it happened, that in second grade, I became the person chosen to make a birthday cake for our school’s headmaster, Mr. Arlin. I don’t quite know how that happened, but I was thrilled with the challenge and the honor. Chocolate has always been my go-to ingredient of choice. 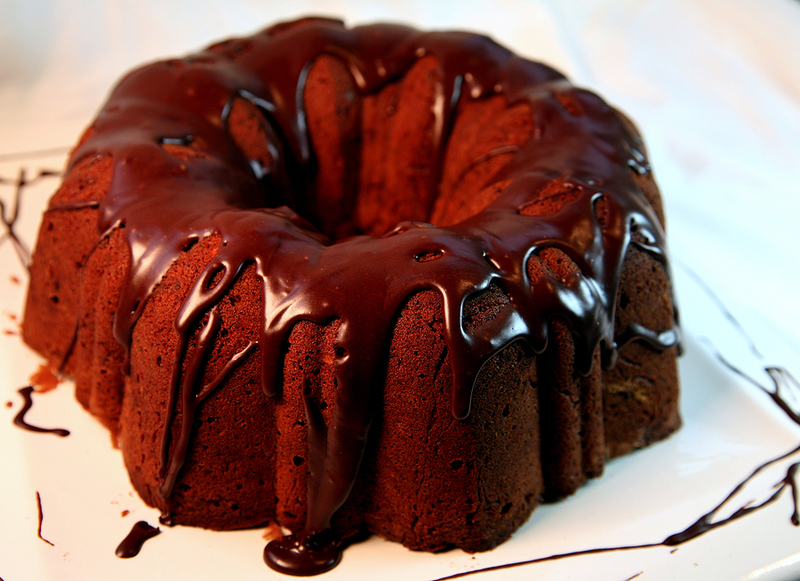 That coupled with the fact that I was fascinated with Bundt pans at the time, and I came to an easy decision that the cake to bake was a chocolate coconut tunnel of fudge cake. I baked the cake by myself the afternoon before the special day. We didn’t have nonstick sprays and I had to coat every inch of that pan with softened butter to make sure the cake wouldn’t stick. This was not so easy as the pan has ridges all the way around. My Mom had taught me to soften the butter just so, and then use a wad of paper towel to facilitate getting the grease into every nook and cranny. Truth be told, I used a mix. At the time Pillsbury offered a boxed version, which featured a chocolate cake and a chewy coconut center, just like a candy bar. I don’t remember whether the cake came with a chocolate glaze or a vanilla glaze, but I wanted to put my own twist on things and make this extra fancy, so whichever the box did not come with, I made from scratch. My cake sported both a black and white glaze drizzled over the decorative ring-style cake. Luckily I lived only one block away, so I was able to safely and swiftly carry the cake to school. I remember holding the cake carefully and levelly on a platter, with my classmates behind me forming a crowd. As I held the cake, inches from my face, the aroma of chocolate and coconut was so mouthwatering it was almost maddening. I like to nibble. It was all I could do not to tweak a bit of the frosting off with my fingers. We went down to the headmaster’s office, which was set back off of the main hall. You had to enter his secretary’s office first. She smiled as she was in on the surprise. She opened the door to his office and I led the group inside. I was so very proud being the one to make the cake and offer it to the head of our school. It felt so important and special and I was excited to think that I could make someone happy with something I baked. Its 40 years later and I have written a book on birthday cakes. Perhaps that birthday cake was the seed that started it all. My book features cakes from scratch, but I know it’s the thought and the effort that counts, and even a boxed-cake mix can create memories to last a lifetime.